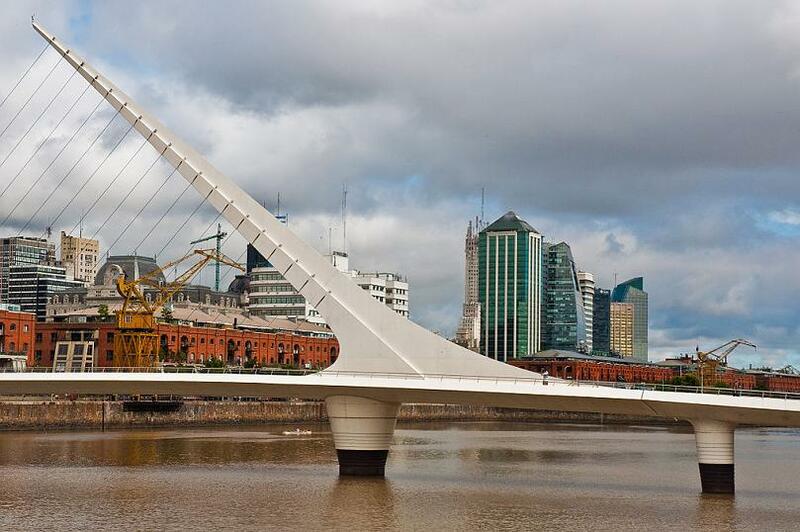 Collection of 'Most Impressive Movable Bridges' from all over the world. 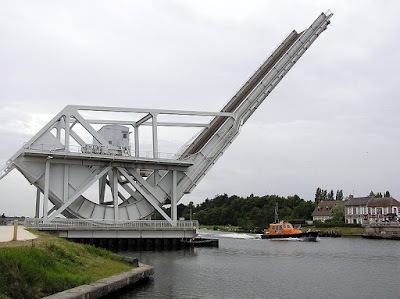 Pegasus Bridge: Pegasus Bridge also known as the Bénouville Bridge across the Caen Canal, between Caen and Ouistreham, in Normandy, France is a movable bridge that rolls back on curved tread plates attached to the girders of the main span. 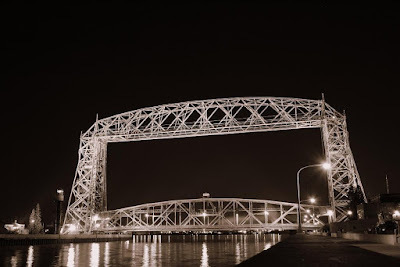 Aerial Lift Bridge: The Aerial Lift Bridge is located in the port city of Duluth, Minnesota. Gateshead Millennium Bridge: The Gateshead Millennium Bridge is an award-winning structure designed by architect WilkinsonEyre and structural engineer Gifford. 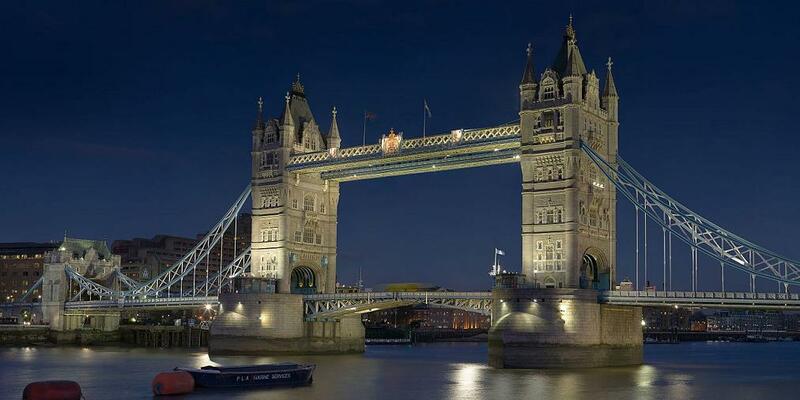 Due to its shape and its tilting method, its also known as Blinking Eye Bridge' and the 'Winking Eye Bridge'. This pedestrian and cyclist tilt bridge spans the River Tyne in North East England. Submersible Bridge: This submersible bridge is located at the entrance of Corinth Canal. 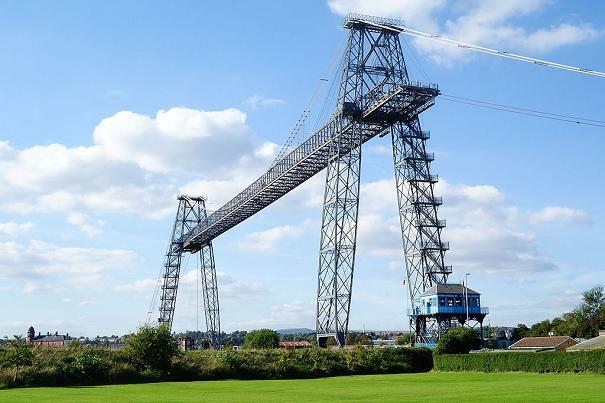 Newport Transporter Bridge: The Newport Transporter Bridge is one of the few transporter bridges that remain in use worldwide. It's across the River Usk in Newport, South East Wales and only working transporter bridge in Britain other than Tees Transporter Bridge. 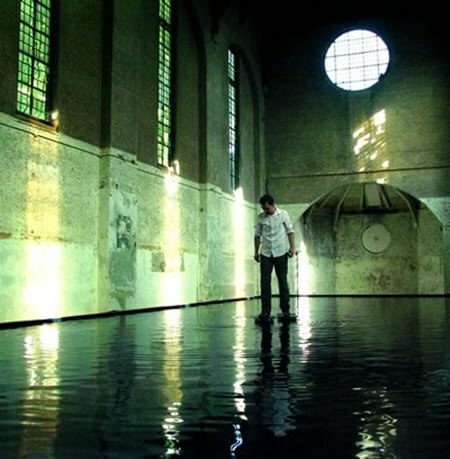 Invisible Stepping Stone Bridge: The stepping-stones reveal themselves out of the apparently empty manmade lake as you walk across them, mechanically. Salford Quays Lift Bridge: The Salford Quays lift bridge spans the Manchester Ship Canal between Salford and Trafford in Greater Manchester, England. 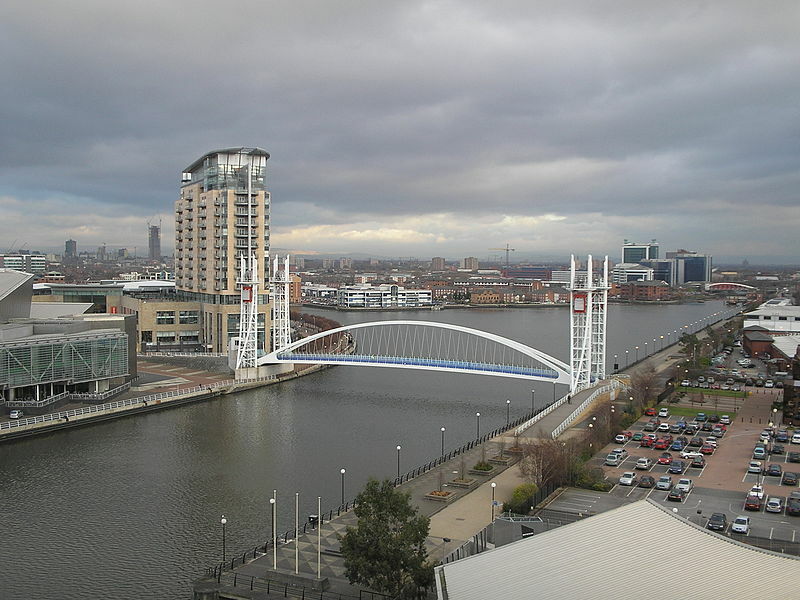 This vertical lift bridge is also known as the Salford Quays Millennium footbridge or the Lowry bridge. Hörn Bridge: The Hörn Bridge is designed by Gerkan, Marg and Partners; it spans the end of the Kiel Fjord. The folding bridge is located in the city of Kiel in the German state of Schleswig-Holstein. 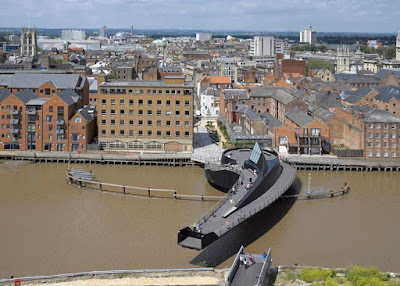 Scale Lane Bridge: The Scale Lane Bridge is an apostrophe-shaped bridge in Hull, England, that features a rotating mechanism that allows it to swing open to make room for passing boats. 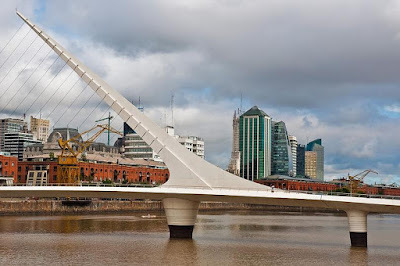 Puente de la Mujer: The Puente de la Mujer is a cantilever spar cable-stayed bridge type and is also a swing bridge located in Puerto Madero commercial district of Buenos Aires, Argentina. Pont Jacques Chaban-Delmas: The Pont Jacques Chaban-Delmas is the longest vertical-lift bridge in Europe. This vertical-lift bridge is over the Garonne in Bordeaux, France. 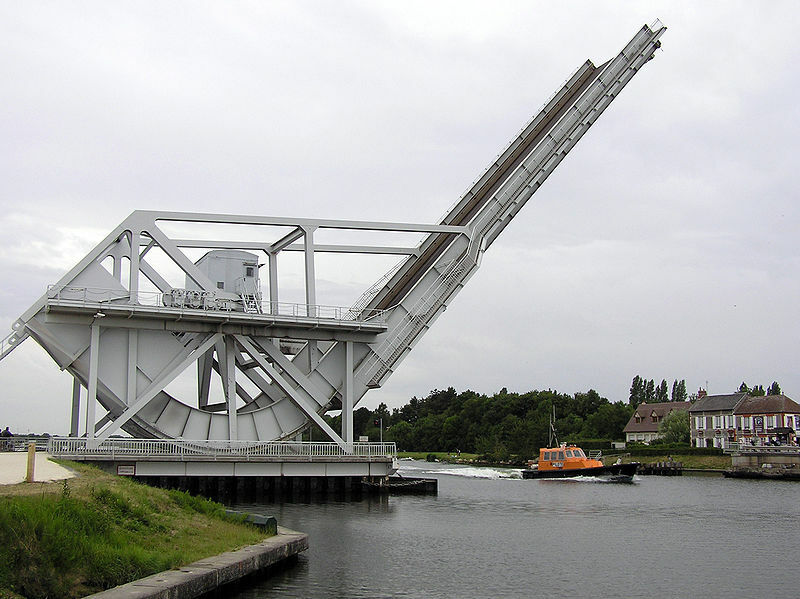 Flying Drawbridge - Slauerhoffbrug: Slauerhoffbrug also known as the 'Flying Drawbridge', is located in the city of Leeuwarden in Netherlands. 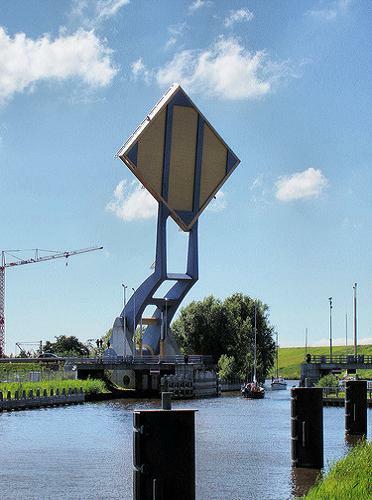 The roadway of this fully automatic bascule bridge is 15m by 15m; its painted in yellow and blue, the colors representative of Leeuwarden's flag. 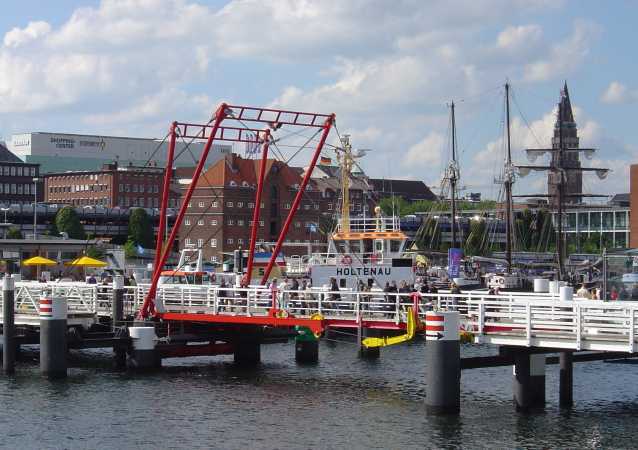 It uses two extending hands to actually lift the section of road up and out of the way to let boats through. 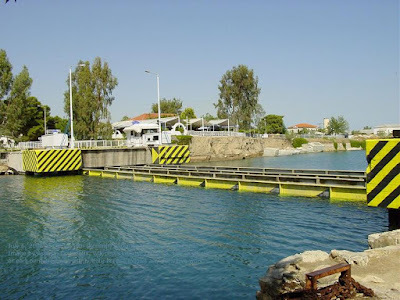 It stops the vehicles on the road for a short while as it can quickly and efficiently be raised and lowered from one pylon (instead of hinges). 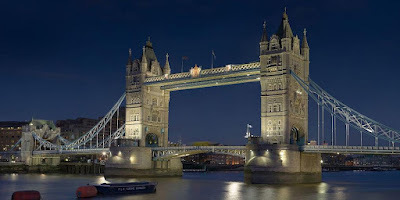 Tower Bridge: The Tower Bridge is an iconic symbol of London, across the River Thames close to the Tower of London. Heatherwicks Rolling Bridge: The Rolling Bridge is located in a new area of London near GrandUnion Canal. 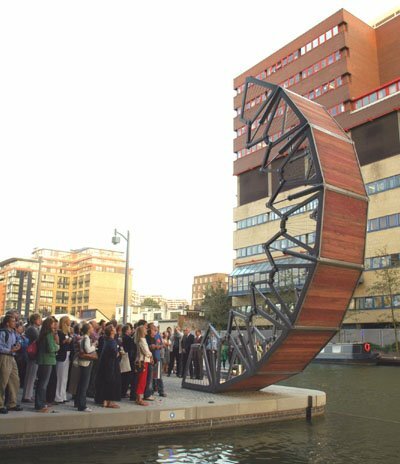 What makes this bridge (twelve meter long, made of eight steel and timber sections, and uses hydraulic set into the handrail) unlike the conventional ones which uses opening mechanism that consists of a single rigid element to elevate and let the boats through, is it curls itself up until its two ends touch and, it forms a circle on one bank of the water. Vizcaya Bridge: The Vizcaya Bridge is a transporter bridge located in the Spanish province of Biscay. The Only Rotating Boatlift In The World - The Falkirk Wheel. The Most Interesting Bridges In The World.